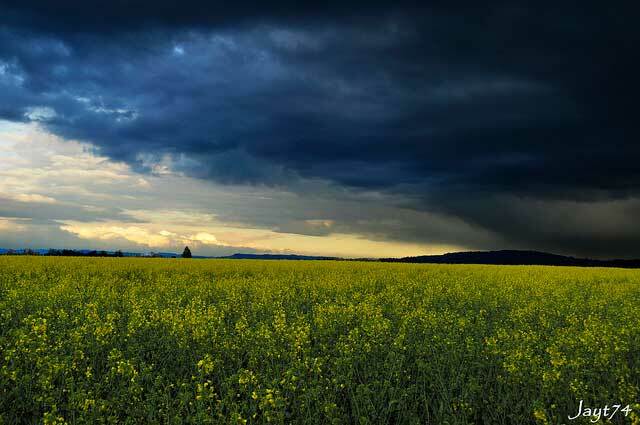 Cary, N.C. (AgPR) March 12, 2015 – Increasingly volatile weather conditions may be changing how farmers handle their crop nutrients. As weather patterns change, some farmers are finding they are losing more nitrogen from their fertilizers to the surrounding environment. In many cases, this is due to increased and unseasonal rainfall, followed by long dry spells and warmer winters. “We’ve just come to more uncertain conditions, which is not an uncommon thing,” said Elwynn Taylor, climatologist and agronomist at Iowa State University. An increase in weather volatility means that bacteria and other microorganisms can become more active earlier than normal. Nitrogen loss can lead to reduced yields and increase the potential for disease pressure due to less vigorous plants. Lost nitrogen can end up in ground water if it leaches from the root zone as nitrate, or it can enter the air as ammonia which isn’t good for crops. Up to half of nitrogen applications can be lost through three main causes: leaching, volatilization and denitrification. It’s important farmers do something to protect their profitability and crops from a more volatile environment. Using a nitrogen stabilizer is one effective method. Ryan Bond, Ph.D., vice president of marketing and technical development for Verdesian, said farmers need to be aware that not all products guard against all three types of nitrogen loss. NutriSphere-N® Nitrogen Fertilizer Manager is the exception. For more information, contact your Verdesian technical sales representative or visit vlsci.com. Founded in 2012, Verdesian Life Sciences offers patented biological, nutritional, seed treatment & inoculant technologies for high-value specialty crops, row crops, and turf and ornamental markets. Verdesian’s plant-health products, nutritional catalysts and seed treatments/inoculants help growers farm more efficiently to maximize yields. Verdesian’s technologies answer the needs facing agriculture including increasing pressures on food demand, supply and food safety. Verdesian remains committed to the research and development of environmentally sustainable products. Further information about Verdesian is available at vlsci.com.